From Words to Deeds: translation & the law: Blog on the law and translation. Especially good for keeping up with events of interest. Léxico Jurídico Español-Inglés …a site for exploring legal terminology: By Rebecca Jowers (see here for a review of her lexicon). A more recent blog (started in December 2015) but already with lots of entries on Spanish-English translations and growing by the week it seems. Transblawg: Blog on legal translation and German to English translation by Margaret Marks. Thomas West’s (Intermark) blog on legal translation: Blog on legal translation by the author of the very good Spanish to English legal dictionary I talked about here. Traducción juridica: Blog in Spanish, mainly about English into Spanish translation, by Ruth Gámez and Fernando Cuñado. The Art of Legal Translation: I just stumbled across this one the other day. Doesn’t look too active at the moment but might be worth checking out for the content already there. The Yellow Shoe Civil Law Blog: Has become active again recently. 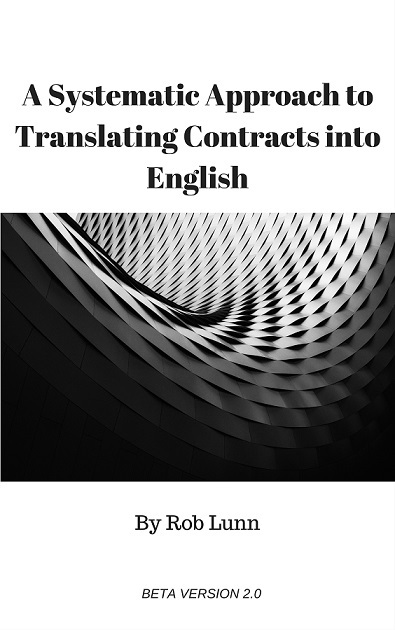 Adams on Contract Drafting: A wealth of tips and interesting posts on this blog on contract language. US English. IP Draughts: Not just about contracts but a lot them all the same. UK English. On Contracts. Just as the title suggests. US English. Ankara Legal English: Also with an ESL focus but with some good resources nevertheless. Law Prose: Blog by Bryan A Garner, lots on language and usage. Waggoner’s Blog on Legal English: Mainly about using legal English as a second language. Criminología y Justicia: Lots of content and contributors. Del derecho y las normas: Blog by David Maeztu mainly on things IP, IT and ICT related. ¿Hay Derecho? : Lots of contributors on a range of topics. Opinion Legal: Blog by Guillermo Ruiz Zapatero on topics including constitutional law and current affairs.